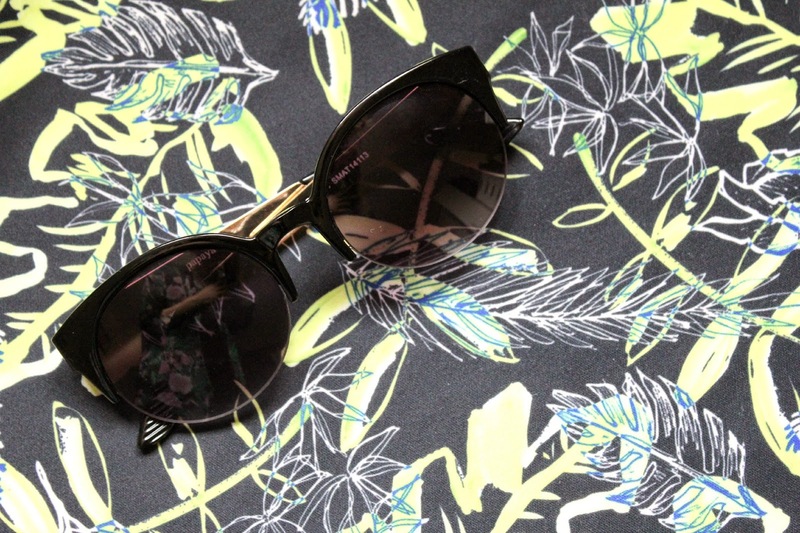 Whilst browsing Matalan the other day, I found a pair of sunglasses I instantly fell in love with. I never spend much money on sunglasses because I either go off them, or leave them floating around in the bottom of my bag to get scratched. But, despite the £2 sale price tag of these (reduced from £8), I will be keeping them in good condition because they are just too darn nice. 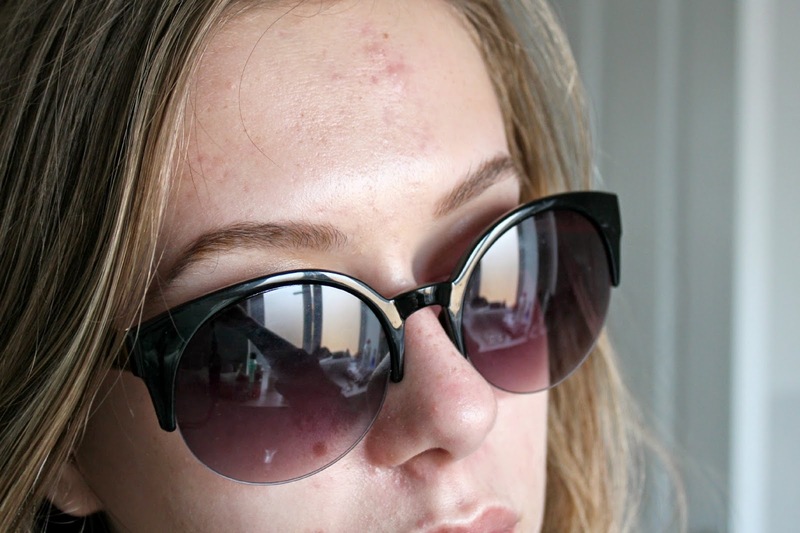 Sunglasses rarely suit me, so the fact I'm blogging about this pair is a huge statement. 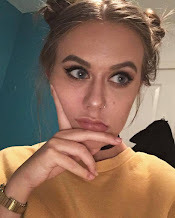 They have quite a Kourtney Kardashian vibe to them in my eyes (excuse the pun), as they are slightly winged in the top outer corners, and they also don't have any plastic round the bottom which I think makes them look that little bit more chic. The lenses themselves are fairly round, but the black plastic on the top diverts away from this giving them that stunning shape. I also quite like the gold arms, they just add to the style, and honestly I don't know why but wearing these makes me feel so fashion forward, that I don't want to take them off. These will definitely be coming with me to my trip to America in October, so despite the late purchase, I will be getting my wear out of them. Sometimes, you need a quick fix for your face. I for one am a sufferer of big under-eye bags and circles and occasionally some rather groggy looking pores (nice). When these sachets came in my letterbox, you can imagine I was pretty excited to give them a go. One evening last week left me with a few less hours of sleep I would normally get which left me with dramatic puffy under-eyes and I seriously needed something to sort them out. I immediately cracked out the Puffy the Eye Bag Slayer* (love the play on words there), and slapped them on under my eyes. These are pretty strange to get used to; thick gel pads that stick on your under-eyes that are somehow cold and cooling even though they have been sitting in room temperature – as I said, strange. They definitely did wake me up and reduce some of the puffiness, but I will say the effect wasn’t as incredible as I was expecting, although I will use the rest of the pack. The World Pore 3* pore strips came into use when I wanted to get a bit of a clarifying thing going on around the nose. These are different from pore strips I have used in the past, as they aren’t sticky so you have to put some water on your nose (I like to make it quite hot to open up the pores even more), then put the strip on as it adheres this way. After about 10-15 minutes, I peeled it off to be left with a rather interesting looking pore strip and a much smoother feeling nose (I’ll spare you the details). 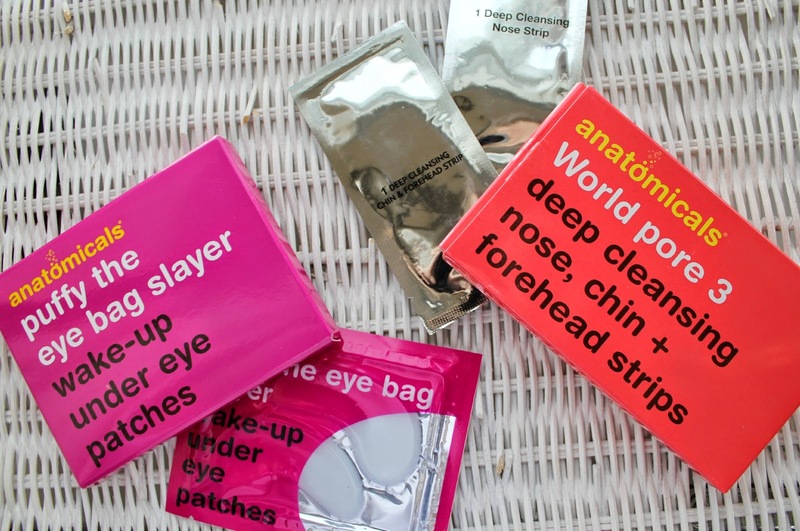 If you want to try out these kinds of products, I definitely would recommend Anatomicals. They are pretty budget friendly, with good advertising and witty slogans, and is a brand that always leaves me wondering what else is in the range. After a long day, most of the time all I want to do is get my makeup off, and as quickly as possible. I’m not exactly a face-wipe fan, so generally I go for micellar water for the face followed by a separate eye makeup remover. 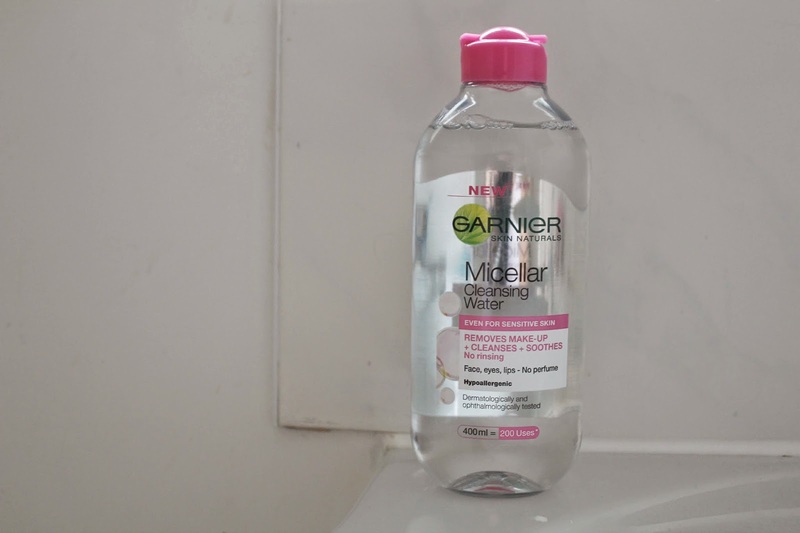 I finally got my hands on the Garnier Micellar Water and I have been using it nearly daily since I bought it so I thought it was the prime time to give you the low-down. It definitely does the whole speedy removal thing well, I soak a cotton pad, and within a couple of swipes over the face, the bulk of my makeup is gone. 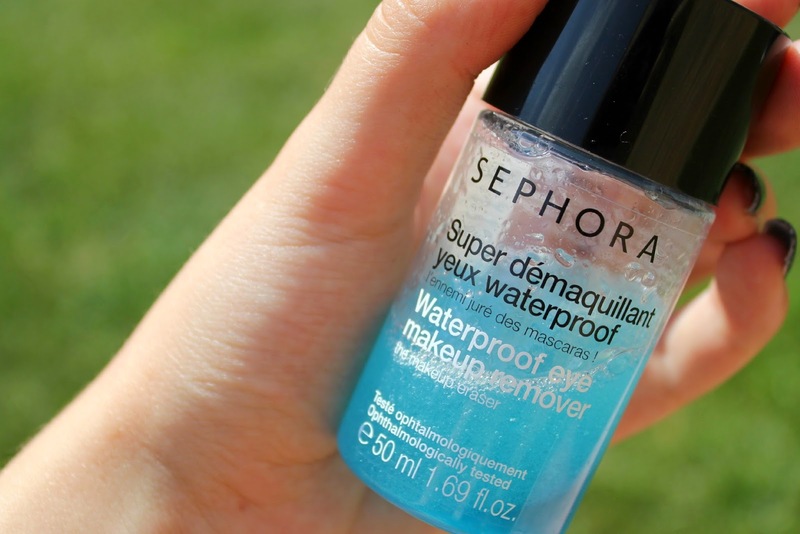 I have tried this on my eyes too, and it doesn’t do too badly of a job on waterproof makeup on the eyes, but it takes a couple more swipes than your general bi-phase remover. It claims for no rinsing afterwards, but I am one for a second cleanse with my Origins Clean Energy Cleansing Oil, so I haven’t tried it out on that aspect, but I will say you don’t have too much of a sticky residue after, but for me it’d feel odd to just go straight in with my night cream afterwards. If you are really desperate to jump into bed however, this would be a good option to go for if you can’t be dealing with the full on cleansing routine. For something short of a fiver for what claims to be 200 uses, this really isn’t a bad product, and if you haven’t tried it out I would definitely give it a shot in your skincare routine. Everyone loves shoes, so I thought 'why not put them on a strut around in front of a camera in my front garden and make a video?'. I was stumped for posts so I thought rather than forcing something out I'd give you all the chance to check out my new Youtube channel and hopefully gain a few subscribers from it. By shoe collection is pretty condensed and small with just the staples and basics in there, so the video isn't all that interesting, but in the future I can see multiple minutes being added to the video as time goes on. I took photos for this post a long long time ago anticipating talking about lash fibres a lot sooner than this. I never got round to actually using them as the idea of basically combing fluff onto my lashes scared me off a touch and everything seemed like it'd be uncomfortable. The other week, whilst experimenting with my orange and pink eye looks, I thought it'd be a good time to try them out as mascara alone wasn't cutting it. I tried it with a range of mascaras, but this is how I've been finding the Sheer Cover Lash Extending Fibers*. On first use, it can feel a little odd and a fibre going in your eye (especially then landing on your contact lens) can be a bit off putting. I start by curling the lashes with my cheap and cheerful Tiger offering, then applied a coat or two of the Sheer Cover Lengthening Mascara*, which does add serious length, and beforehand when I always found it never to dry down properly and ended up sticking my lashes together, layering is the way to go to combat this. Then a brief coating of the lash fibres (basically white fluff) followed up by another mascara, which for me at the moment is either the Too Faced Lashgasm or Soap & Glory Thick & Fast - steering away from my usual waterproof security blanket. 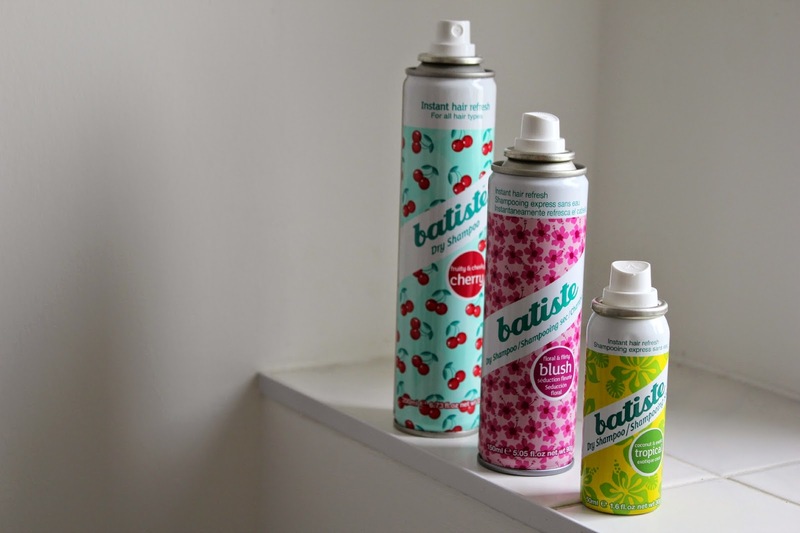 I have a very love-hate relationship with Batiste Dry Shampoo, I love the effectiveness for refreshing your locks and oily roots, but I hate the powdery texture and white cast left behind. With a bit of experimenting, I have managed to find the right way to use this and I have been loving it, hence my vast variety of scents. Pictured above I have Cherry, Blush and Tropical, all of which smell lovely, with tropical being my favourite. I find that to get the best results for me and to avoid any of the unwanted side effects of Batiste, I use this the night before to get rid of the majority of the oil, then in the morning as a refresh and because most of the oil has been banished already, the powdery texture doesn't stick around and instead my hair looks really clean. I also like the volume it gives to the hair, as for me especially when my hair is greasy, it lies quite flat and adds to the oily look, so the volume makes things look a lot cleaner. Of course this isn't first day hair in a bottle but it sure does a good job of keeping you going for an extra day or two. 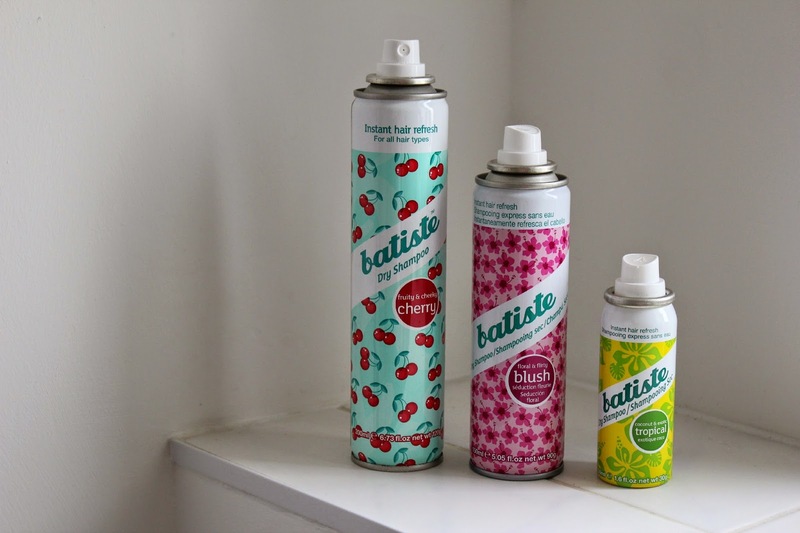 I have tried a vast range of dry shampoos from a lot of drugstore brands but of course I always go back to Batiste, it's foolproof (if you have the right technique), and is the cult classic for many. I'm sorry I doubted you in the past Batiste, can we be friends now? For me, I like my makeup removal to be as simple and speedy as possible, so when I saw this bi-phase eye makeup remover in Sephora in Madrid for something around the 2-3 euro mark, I couldn't resist giving it a go. I always find the bi-phase removers such as this Waterproof Eye Makeup Remover, or 'makeup eraser' to work better for me, the oilier half makes for quick removal whilst the other part allows the greasy feeling to be diminished after you have removed everything. I actually really like this, even more so than the Nivea Double Effects offering which I have used a good 4 bottles of. This leaves no oily residue on the eye area at all for me, whereas the Nivea one does a little - something I never took notice of until I tried this product out. I also find this is a lot quicker and holding the cotton pad for a couple of seconds then sweeping away leaves me with clean eyes and a very dark cotton pad. 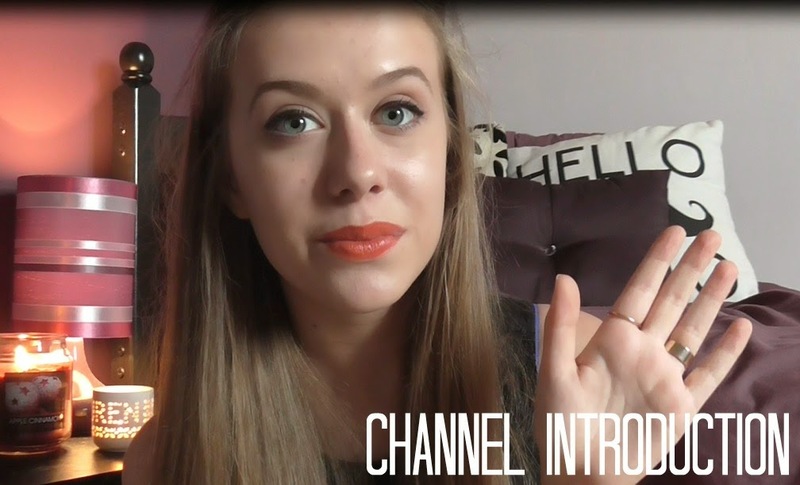 Basically this video just introduces my channel and prepares you for what I'll be uploading soon, so please do subscribe and I'll keep you posted with future uploads!